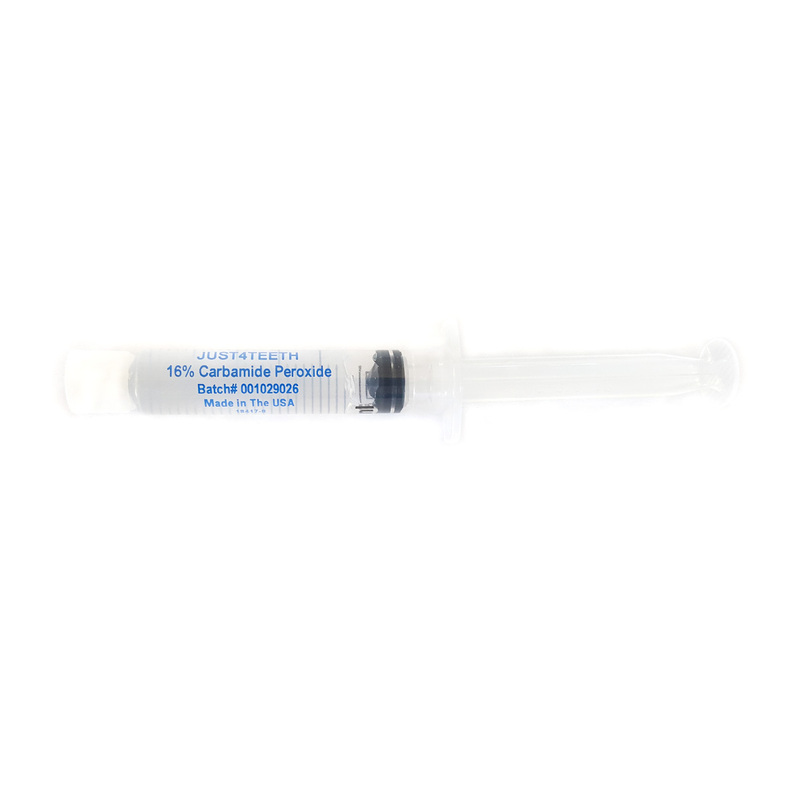 Just4teeth 35% Carbamide Peroxide Refill Gel "A GREAT VALUE"
35% Carbamide Peroxide Refill Gel is great for those who already have mouthpieces from a previous whitening system and need more gel. 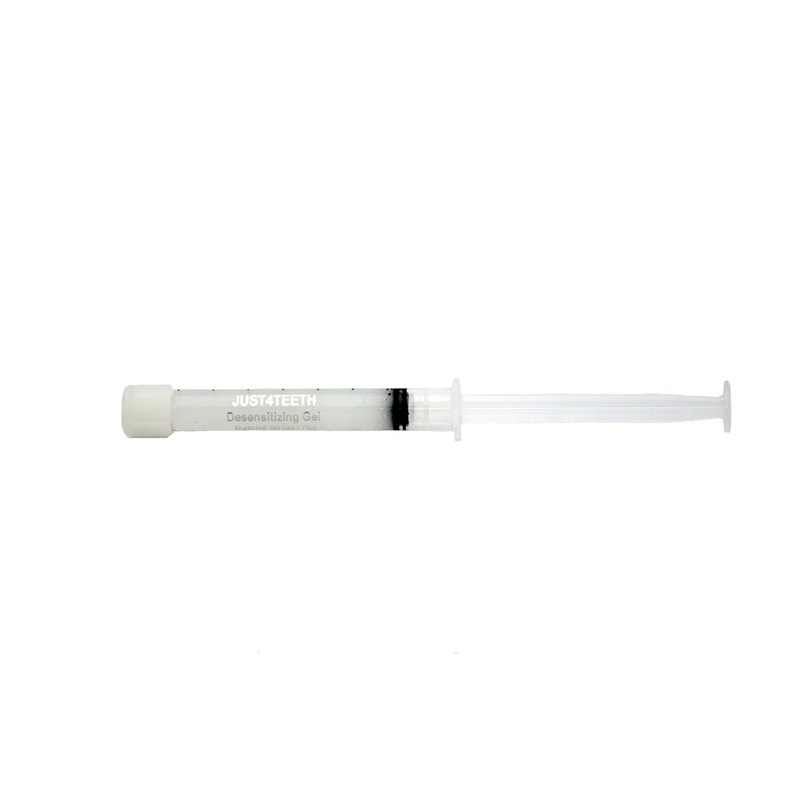 Our Gel is formulated to minimize sensitivities associated with dental bleaching. We do not use glycerin in our formula since it causes irritation of the gums and mouth tissues (glycerin also has a terrible taste). The Gel is formulated using the highest quality ingredients available and does not include harmful additives such as Fluoride (which is against FDA regulations) or Potassium Nitrate. Consumer safety and product efficacy are our highest priorities. 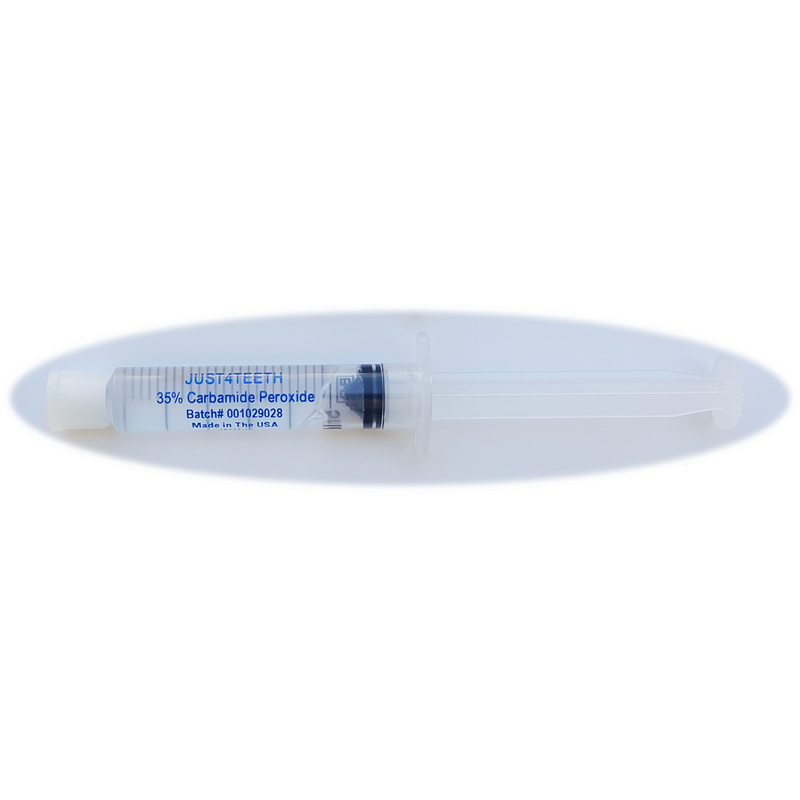 Our oversized syringes (5ml each) contain more whitening gel than most others. 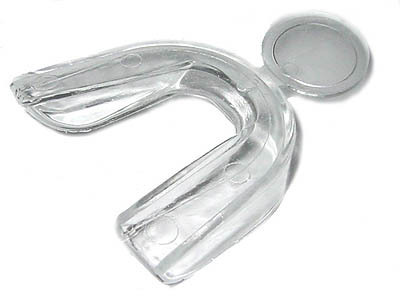 This gel is the exact formula used by professional dental offices.